What does it really mean to change your management approach and become a strengths-based leader? I know the power of strengths to change people’s lives and transform organisations. I’ve seen it many times since working in this field. But it still gives me a massive thrill to talk to managers who are new to strengths and hear their excitement about the difference the strengths approach is making to them and their people (and of course their customers). Charlotte Henderson is one such manager. We interviewed her about her experience of becoming a strengths-based leader and, wow, what an amazing experience she’s had. If you want to know about the practical realities of strengths-based leadership, and what it does for people, read the full interview with Charlotte, below. I think you’ll be inspired! And if you’d like to hear Charlotte talk about her experiences, watch this 3 minute video about how strengths-based recruitment benefits organisations. When did it first occur to you that a different management approach would be needed for people recruited on their strengths? I realised it and I was excited by the possibilities of it, on my first day of the Engaging Minds strengths-based interviewing training. I was fascinated by the strengths profiles developed for the different roles in The AA. 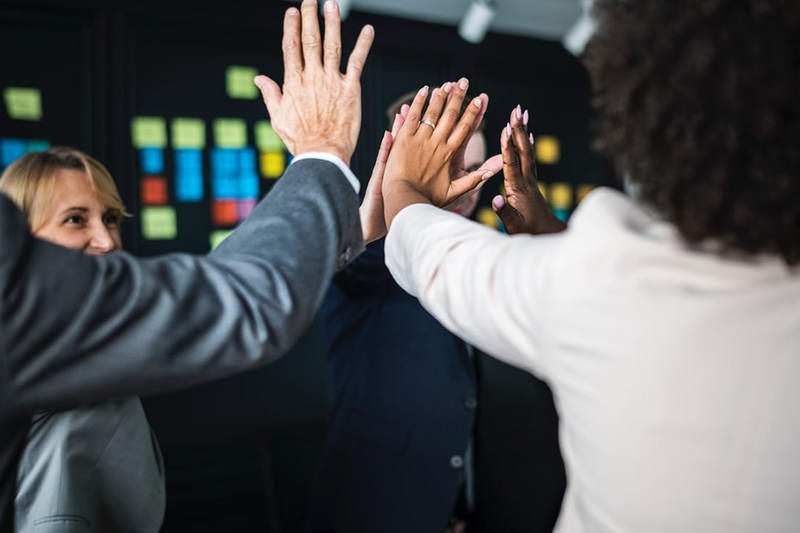 But also, as a manager, with a team already in place, I immediately started to see how I could better manage my existing team, by focusing on their strengths rather than trying to develop their weaknesses, as we’d tended to do in the past. I put the first six strengths recruits onto my own team, and split the whole team, so I could compare the strengths recruits with the non-strengths recruits. I wanted to see the differences and exactly how I’d need to manage the new strengths recruits to get the best from them. What differences did you notice in the strengths recruits compared to the people you’d previously recruited on competencies? Overall, it was their energy. They seemed to know exactly what to do without being told. It was as if they’d always been there. I didn’t have to worry about how to motivate them, because they were totally motivated already! In contrast I had people in the non-strengths group who’d been there from between seven months and three years; they had pockets of the profiled strengths within them, but might often get deflated, so I’d have to find ways to motivate them to keep going or to achieve their targets. I didn’t have to do that with the strengths recruits. My role changed to one of support and ideas generation, helping them to think of new ways to perform even better. But, I didn’t need to coach them or performance manage them. And, at the end of the day, they walked out of the door happy. They’d come in the morning saying things like, ‘Right I’ve been thinking, I want to try this today,’ or ‘I’ve got this new idea.’ They’d arrive buzzing and I’d think, ‘Wooooow, OK!’ To be honest I was shocked at how easy it was to performance manage them. The other thing is that because of the strengths-based interview you do when you recruit them, you find out so much about them and what makes them tick. I didn’t have to spend six to eight weeks getting to know them. We got straight down to work. The one area I did have to focus on more with them was the specifics of working in our organisation in a sales role. When you recruit on strengths you get people coming in who have all the required strengths, but who may not have ever worked in the role before. Some had absolutely no experience of our type of work environment. We had people come in from working in the Army, for example. That meant I did have to spend time teaching them the practicalities involved in doing the job itself: how to use the phone, the make-up of our different targets, the call scripts, our policies etc. We also had people come in who were straight out of college and hadn’t ever owned a car or a house, or taken out insurance for those things, so I needed to teach them more about the customer environment they were working in, so that they understood the ‘whys’ behind our regulations and methods, like why we had a particular script for the call, or the ins and outs of our industry’s legislation etc. They had all the strengths, but you had to adapt the training, to include the elements that they had no experience of. But it was easy, because they wanted to learn. How did you use a strengths approach to motivate and engage your strengths recruits? Even when everyone in the team has all the strengths in the strengths profile, some people will have certain strengths stronger in them than others in the team do. For example, I knew that two of my team were the most competitive of the group, so I’d split the team in two and make those two people team leaders for the day. I’d say, ‘Right, I’m going out today, let’s have a competition and I’ll give the winning team a surprise at the end of the day.’ I’d leave them to it, and when I came back in… well, you know how an atmosphere can feel electric? It would be amazing. They’d be helping each other succeed, pushing each other on, buzzing with their achievements, sharing strategies and ideas with their team members. I almost couldn’t believe that I could go out and they’d get on with it and perform to such a high level, even though they’d only been in the job a couple of months. Even though I knew it should work on paper, because of their natural strengths, when you see it actually happening, it’s mind blowing! What have been the benefits of the strengths approach, to you as a manager and leader? Apart from everything I’ve already mentioned, I can confidently use my knowledge of the strengths of my team to make sure everyone plays to their strengths to generate the best team energy and performance. I know what each member of my team particularly thrives on doing, and I ensure I give them opportunities to do those things as a priority. If someone loves to coach, and has the opportunity to do that at the start of a day, the positive energy generated in them carries them through the rest of the day, even if they need to do things later that they like less. I delegate more effectively this way, allocating tasks to the people who I know will most enjoy doing them. In my own past experience, it’s been very demotivating to be given projects ‘to develop my weaker areas’ that push me out of my comfort zone and that make the day drag. Knowing people’s strengths means that I can spread the whole of the work that needs to be done among my team, so that everyone gets to do something early in the day that will really motivate them and carry them through the whole of their working day. The resulting buzz lifts the whole team, and me too! Not with the recruits, but with some of our existing managers who were used to training and developing people in a certain way. We needed to teach them that the strengths recruits wouldn’t need micro-managing on performance, for example, because they’d achieve naturally. Some people would say, ‘But how will we get them to achieve their target number of Outbound calls a day?’ whereas I knew that we wouldn’t need to focus on that because these people are always positive, they keep going, they don’t get knocked by having to make repeated calls. These people would achieve the desired number of calls a day without any problem, naturally. Instead I’d tell the managers to develop them in other areas, where they could use other strengths they had; say, if they liked designing, then get them to design something for the team, to motivate them even more. We had to teach our managers to understand the strengths profile of each person and manage and develop the individual based on that, rather than following the method we’d used for everyone in the past. What advice would you give to managers and leaders who might be thinking of adopting a strengths approach for the first time? Just go with it. Yes, it’s something new and it’s a change. And if embracing change isn’t one of your own strengths, as a manager or leader, it might seem a bit daunting at first. But, I’d say try it anyway, and see the difference it makes for yourself. It’s about really understanding an individual’s natural ‘DNA’ and then playing to their innate strengths to get the best out of the person so that both they and their team or department thrive. It works. You’ve got absolutely nothing to lose. Embrace it! When I started down the strengths route, strengths-based leadership training wasn’t available to me so I had to figure it out for myself. If you can, do the strengths-based leadership workshop – it will open your eyes to what is a much better and more enjoyable way to manage. It will motivate you as well as your people! Thank you to Charlotte Henderson (now Customer Service Operations Manager at Worldpay), for giving us such great insight into what’s possible when you become a strengths-based leader and start managing on strengths! 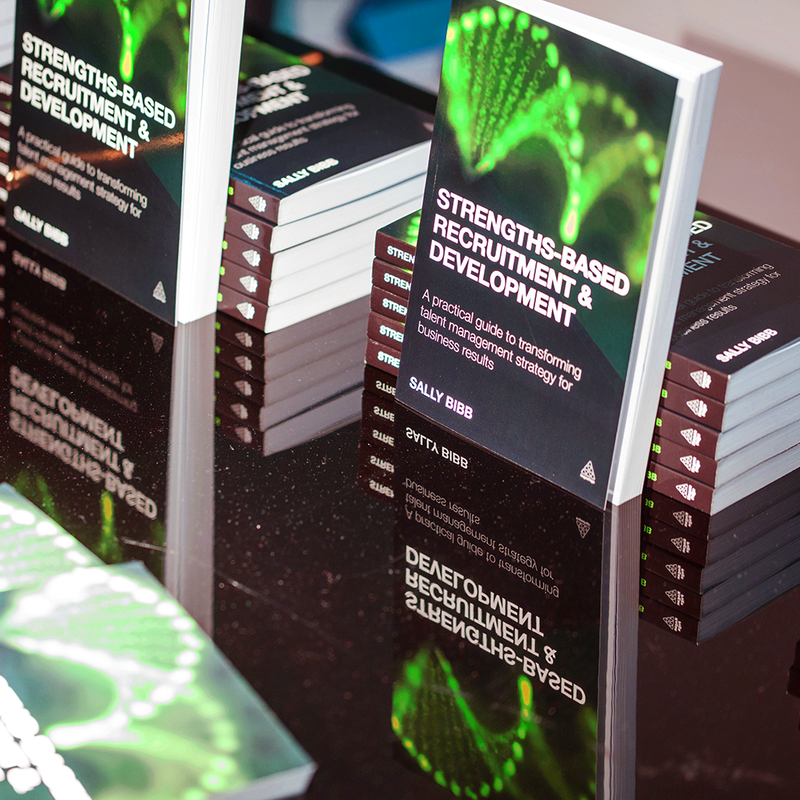 There is also an interview with Charlotte in Sally Bibb’s book Strengths-based Recruitment and Development: A Practical Guide to Transforming Talent Management Strategy for Business Results. Use discount code HRSBRW at the Kogan Page website.